Samuel Waxman Cancer Research Foundation will celebrate their 17th Annual Benefit Dinner & Auction, honoring fashion designers Cushnie et Ochs on Thursday, December 4, 2014, at Cipriani Wall Street. 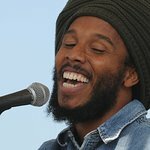 Musical performer for the event will be Ziggy Marley. Known affectionately by New Yorkers as “The Waxman,” this yearly fête is considered to be among the top fundraising events in New York City, attended by more than 1,200 corporate executives, board members, and their guests. In recent years, “The Waxman” has raised millions of dollars to support the Foundation’s research efforts to produce a cure for cancer. 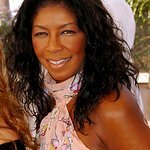 Past celebrity performers have included Train, Peter Frampton, Gregg Allman, Kid Rock, Steely Dan, Glenn Frey, Joe Walsh, Sheryl Crow, John Fogerty, and Counting Crows. The evening will be hosted by Chris Wragge, co-anchor of CBS 2 News This Morning, as master of ceremony. The evening’s much-anticipated live and silent auctions will offer guests the opportunity to bid on an exciting selection of exclusive items.